Originally from Chicago, Illinois, Paul has been in Tucson since coming here in 1980 to attend the University of Arizona. After attending Law School at the University Of Arizona College Of Law, Paul worked for a small time in a criminal defense firm before founding and going to work at the non-profit Southern Arizona People’s Law Center. At the People’s Law Center Paul worked primarily in the area of tenants’ rights and housing rights. However, during this time he also continued to represent low-income people in criminal matters and began his career as a civil rights litigator. In 2003 Paul left the People’s Law Center and went into private practice so that he could expand his civil rights and criminal defense work. Was a founding partner in the firm of Payson & Gattone with Tony Payson in 2006 he continued to focus his civil rights work in the areas of police misconduct, employment discrimination, and individual rights. Since 2006 Paul has also defended the rights of people accused of the criminally accused in state and federal court. 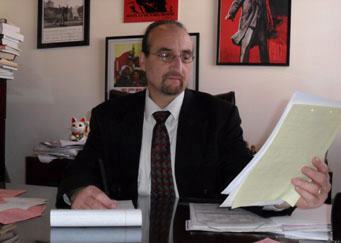 At the end of September 2011, Paul went back into solo practice, with a primary emphasis on civil rights cases. In his 22 years of practice, Paul Gattone has devoted himself to aggressively protecting the rights of his clients and to advancing and defending civil rights.